Hi everyone, I hope you are well. 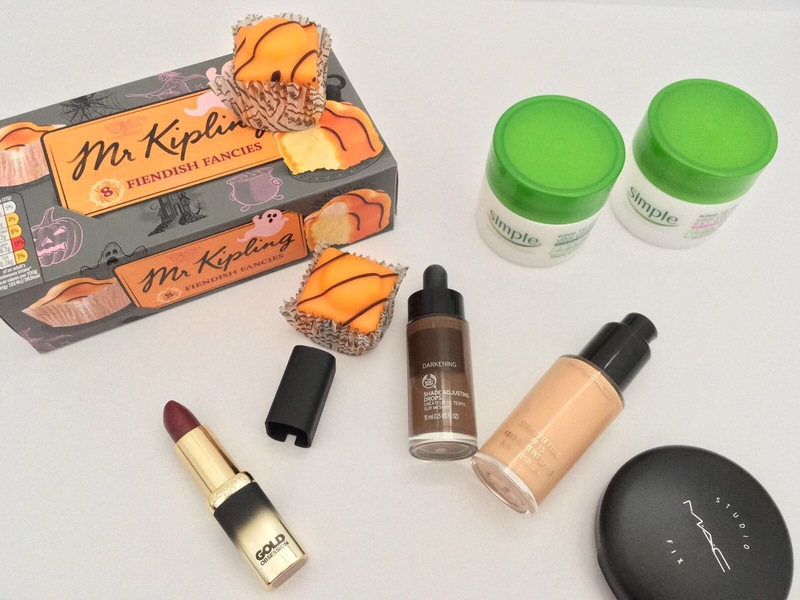 This is a list of my October favourites, I hope you enjoy reading. 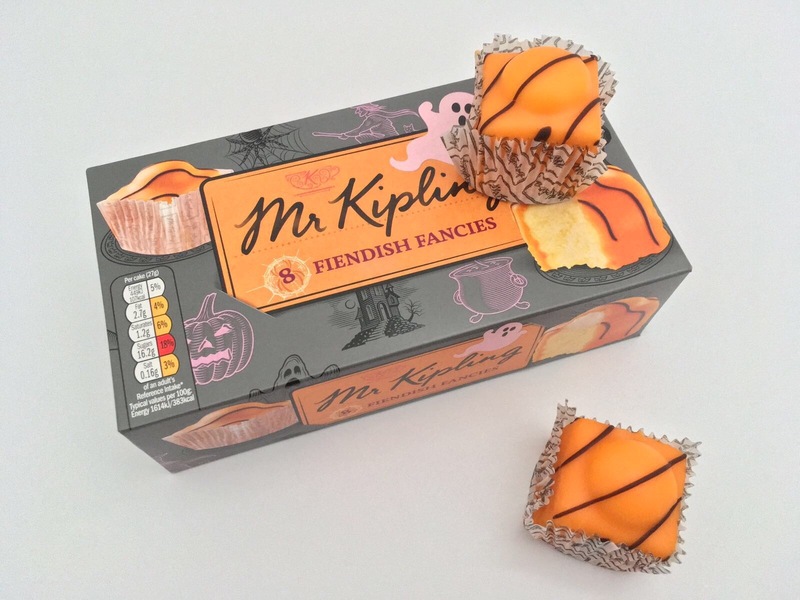 I always buy Mr Kipling French Fancies so I get very excited when they release special flavours. Of course I had to buy these fiendish fancies for Halloween. They are an amazing orange flavour and I could very easily eat a whole box! Simple products are my go to for moisturisers so when I saw this day and night cream I had to get it. I have really sensitive skin so I think these products work perfectly for me and don’t irritate my skin at all. I apply the day cream before I do my makeup and then the night cream just before bed. I love them both as they are non greasy and leave my skin feeling hydrated. They work really well together but I also think they would work well on their own if you don’t feel you need both. I cannot explain how much I love this lipstick. I did do a blog post a couple of weeks ago on this lipstick but I have used it pretty much everyday of October so I had to include it! If you haven’t seen my post on this lipstick you can see it here. I think we all know the struggle of having a foundation that is not the right colour for our skin. I came across these darkening drops in The Body Shop and had to try them as I have a few foundations which are a bit too light for my skin. 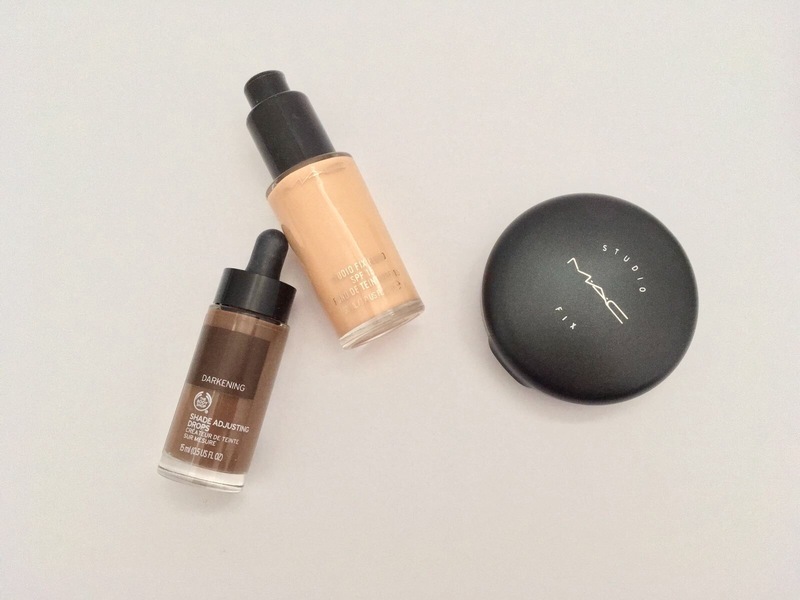 I love them as you can add as much or as little as you like to get your perfect foundation shade and it doesn’t change the consistency of your foundation. I think the lightening drops will definitely be next on my list as we are coming into winter and my skin is bound to get paler than some of my darker foundations which is always the way! This powder and foundation combination works really well for me. I always use this MAC powder when ever I do my make up to set my foundation I use the shade NW10. I don’t use this foundation every day but I do like wearing it and it does give me quite a full coverage, the only downside is that I don’t like the smell of this foundation! I hope you enjoyed this post, please let me know any of your favourites of anything you think I should try. I’ve wanted to try this powder and foundation for ages now so might have to try them together! I love the simple brand. It is great for my sensitive skin! 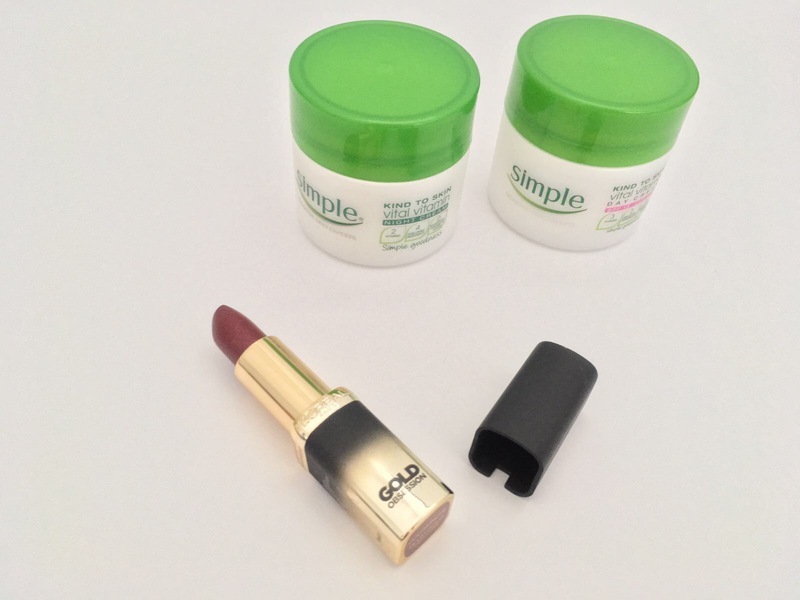 I absolutely adore the Simple Night Cream. I’ve found that it can even be better than more expensive brands!